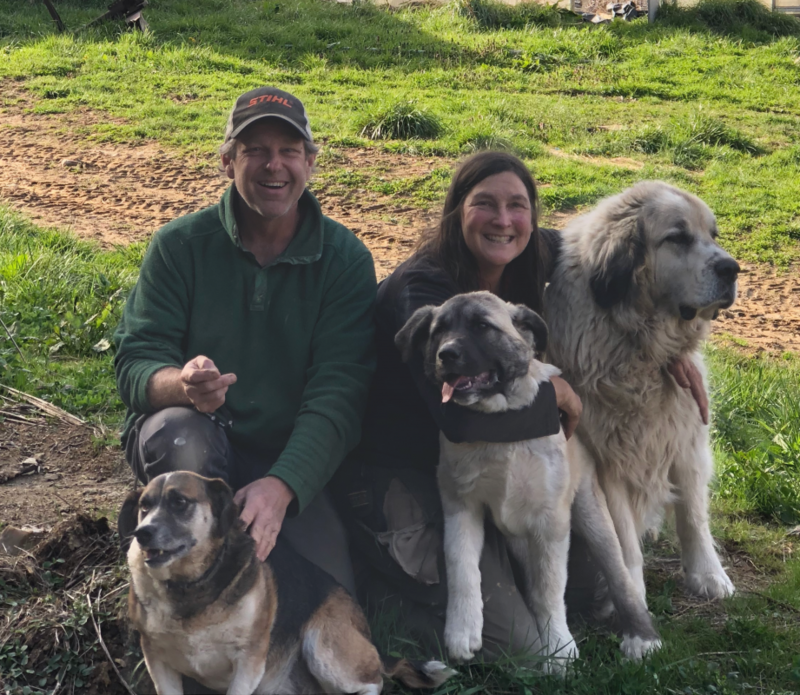 Mountain Harvest Organics was founded by Julie Mansfield and Carl Evans. It all started when we visited the Appalachian Mountains with hopes of finding a small piece of property that could be our weekend getaway away the traveling required for our software engineering jobs. That is when we stumbled upon this beautiful farm that was for sale with the threat of being developed, and decided the farm would be our weekend getaway, rather than a developer’s dream. We have always had a small organic garden so we felt certain that it would be no problem for us to fly in on weekends and tend to 5 acres of annual crops. Although the farm price was not in our budget, we overextended ourselves financially, bought the farm and began planting crops in the fields. We were wrong – we could not farm while traveling – which was just one of our many misconceptions about farming. While we were out of town during the week for our software jobs; the weeds came, the veggies rotted on the vines, and the fields were being overtaken by invasive weeds. The buildings further deteriorated and the old farmhouse still in need of restoration. The farm needed full-time caretakers so in 2000 we switched careers from software engineering to became full-time farmers. Our goal has been to provide our community with with fresh, local and healthy food.To do so, we’ve been offering apprenticeships for over 15 years, feeling proud that we are teaching another generation of farmers. It is our feeling that the small highly diversified farm is an important aspect for our food security. Local food systems are an important part in addressing solutions to climate change. This is accomplished by curbing carbon emissions that contribute to climate change by not having your food shipped clear across the country. In scaling back on production, we are now able to offer opportunities for people to vacation on an organic farm. 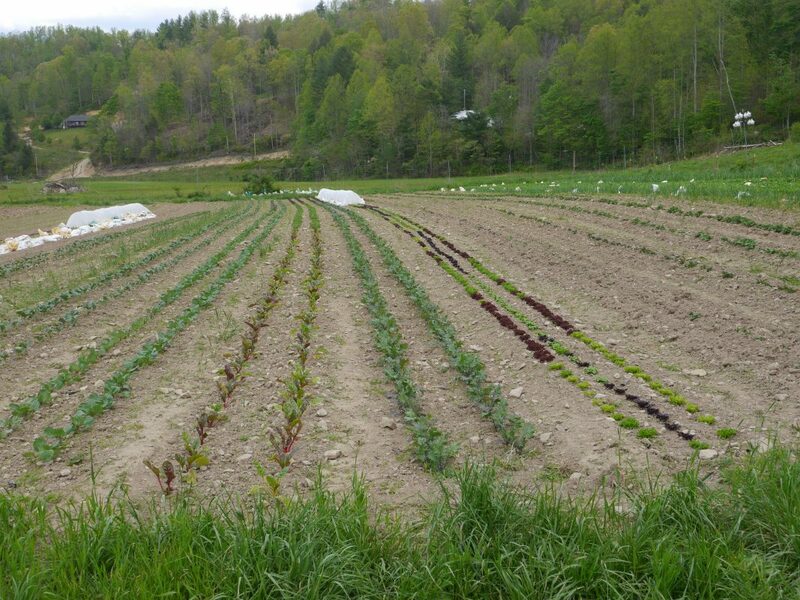 The farm is a blend of the modern small farm agriculture movement, while also an example of a traditional Appalachian Farm that would have been in operation at the turn of the century. We are highly diversified with vegetables, pigs, dairy cows and chickens. Do yourself a favor and book a farm-stay with us to experience life on a traditional Appalachian farm. We are centrally located between Waynesville, Asheville and Pigeon Forge.Cataloochee, Cades Cove and the Smoky Mountain National Park are just a day drip from our location. Eco Vacations are a great choice for those who care about the environment!